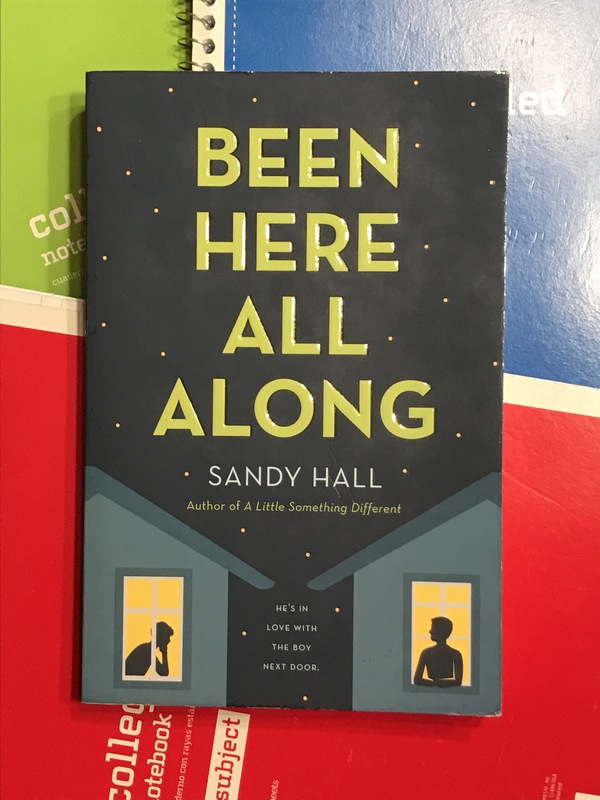 Author Sandy Hall’s signature wit and charm is back with Been Here All Along, an LGBT young adult romance from Macmillan’s young adult imprint Swoon Reads. I really liked that although it seemed like Gideon and Kyle were polar opposites in many ways, they worked so well together. Kyle being great at sports and getting thrust into a position of popularity contrasted with Gideon’s non-popular status at school, but I loved how they were both nerds at heart and how they’d stayed friends for so long. I also liked that Ruby wasn’t a stereotypical ‘mean, popular girlfriend’ like is seen in a lot of books/movies when the main character has a crush on somebody else, so that was very refreshing. All of the characters felt developed and I loved the dynamics and relationships between them. I also appreciated that Kyle being bisexual and Gideon coming out as gay was seen as normal, and was accepted immediately, so that was really cool to have a community of characters that were super accepting. This book switches POVs often. At various points, we get to see the story from Gideon, Kyle, Ruby, and Ezra. Personally, I felt the story still would’ve worked without the story from Ezra’s POV. Overall, this is a cute, quick read, and readers who love YA contemporary LGBTQ romance will enjoy it. Connect with the author! You can find Sandy Hall on twitter and Instagram at @iamsandyhall ! !